DMICDC recruitment 2017-18 notification has been released on official website www.dmicdc.com for the recruitment of Finance Executive. Job seekers should apply on or before 27th December 2017. Here on this page you will get the details like the Name of vacancies released by DMICDC with exact number of posts. 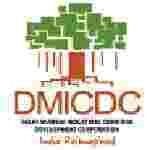 Some other criteria like Education details, application fee and way to apply application for DMICDC recruitment 2017. Educational Qualification: Graduate with professional qualification of a Chartered Accountant. Interested and eligible aspirants may apply online through official website www.dmicdc.com & Resume send by post/ hand to the Delhi Mumbai Industrial Corridor Development Corporation Limited, Room No. 341-B, 3rd Floor, Hotel Ashok, Diplomatic Enclave, 50B Chanakyapuri, New Delhi-110021 or email to jobs@dmicdc.com to on or before 27.12.2017.